Checkpoint Systems announces their entry into GS1 Australia’s Alliance Partner Program to provide GS1 members with RFID solutions to achieve profit growth in a challenging retail landscape. Checkpoint Systems is a global leader in merchandise availability solutions for the retail industry. Checkpoint provides end-to-end solutions enabling retailers to achieve accurate real-time inventory, accelerate the replenishment cycle, prevent out-of-stocks and reduce theft using RFID technology. GS1 Australia is a not-for-profit organisation that administers the global GS1 System of supply chain standards in Australia. Checkpoint Systems will be working with GS1 Australia to maintain global RFID and barcoding standards with focus on the apparel, consumer electronics, general merchandise and food and grocery industries in Australia. GS1 Australia CEO Maria Palazzolo comments that Checkpoint’s announcement to sign-up as a Business Alliance Partner represents a significant local commitment to GS1 standards in alignment with their RFID products and solutions. GS1 Australia looks forward to working in partnership with Checkpoint Systems to improve visibility and enhance efficiencies in the supply chain processes of Australian retailers. 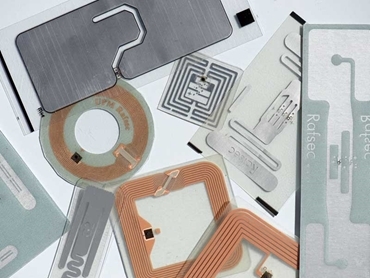 Checkpoint provides the massive item-level encoding solution of RFID labels. The high-speed bulk encoding solution combines hardware and software to ensure the highest level of accuracy and encoding speed without retailers needing to manually open boxes and handle individual garments. According to Mark Gentle, Vice President for Merchandise Availability Solutions at Checkpoint Systems Asia Pacific, having worked with GS1 globally for many years, Checkpoint is happy to extend this partnership to the APAC region to bring RFID solutions to GS1 members in the Australian marketplace. GS1 Australia’s Alliance Partner Program provides small and large businesses with a diverse range of benefits including supply chain enabling tools, priority notification of new technologies and innovation initiatives to improve supply chain efficiency, comprehensive best practice case studies and professional advice in making the GS1 implementation smoother and easier.